In order to express the existence of anything we must be able to denote it. Often times Imasu and Arimasu can be used but please kindly note that there are other methods as well which we will introduce in more advanced lessons. はじめましょう! Did you understand the difference? Perhaps it was not-so-clear when Cars, Robots and Trees were introduced. Trees may be living, however they do not move while robots may not be living but they may move on their own however it also depends in what context. In most cases, います and あります are easily recognizable but in some instances, it may become challenging to know what to use. Cars may use either but it is more common to use あります than います. While there isn’t a clear-cut definition of either usage at times, it should be fairly simple to recognize the exceptions over time. Translation: There is a cat. Translation: There is a desk. If you want to address that the object is also in existence, then utilizing the particle も at the right moment is what will make the difference between “There is a cat” and “There is also a cat”. Let’s expand this statement into an actual conversation. This is the most complex sentence we’ve created so far however it’s not entirely difficult with practice. Before we proceed, please remember that when わ is used as a particle such as the example above, it becomes は but is pronounced as “wa” despite it appearing as “ha”. All that we did was replace は with も because も means too or also. It’s now time to practice with a partner by making a statement that Partner A likes something and Partner B also likes it. Please alternate at every turn. You may use any of the words previously learned including new words included in this lesson. If you don’t have a partner, ask in the Jappleng Chat, Club Jappleng or J-Spot social network, or perhaps find friends in the Forums. Welcome to the world of Katakana! No, not Katana which is a Japanese sword but Katakana, the wonderful Japanese writing system used with foreign words. When words are not native to Japanese, they are usually written in Katakana. However, that is not always the case as Katakana looks "cooler" to youth and is often used in logos, company brands, anime titles, and much more. While it's not necessarily wrong to write in Katakana, Hiragana is the preferred method for Japanese words. Let's begin by learning the vowels in Katakana. You may have noticed that katakana's writing style is a bit more edgy than Hiragana. There are many more uses to Katakana than some company names and foreign words. Katakana may also be used for onomatopoeia and italicizing words or adding emphasis. Katakana may be seen everywhere in Japan and it’s very important to master the writing style. 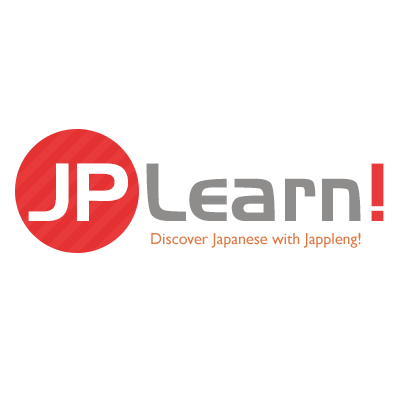 Let’s also learn a few more Katakana characters in order to accelerate your introduction. Did you notice similarities between Katakana and Hiragana yet? Some characters are very similar between the two; likewise, there are katakana characters that look very similar to each other such as ク and ケ. Be very careful and pay close attention to the subtle differences between characters. Katakana also supports diagraphs and diacritics. Let’s observe the first set for this lesson. We have learned a lot in today’s lesson but we’re only just beginning. In the assignment you will be required to practice what you have learned here not with just the words you already know but with new words using both hiragana and katakana. In the next lesson, we will be learning about the Negative tense which will allow you to form questions, new statements, and give you the ability to disagree. You may also like to practice both your Hiragana and Katakana from one of our many practice Games found on our website. Click here to access them.